Let me just preface this by saying that this is not me complaining about people not liking Kingdom Hearts 3D. Everyone is different, and everyone views things differently. Please don't take this topic as a trap or as me saying "the game is amazing! You guys are wrong!" I am not going to attack you or argue with you; I just want your opinion. This topic is purely for curiosity's sake. Kingdom Hearts 3D is one of my favourite Kingdom Hearts games. Like literally tied for first place with Birth by Sleep. No joke. Ever since I first played it it has been one of my two favourite entries in the series. I love the story, I LOVE the combat (particularly the flowmotion) and I love the flexibility of the Dream Eater party system. I always thought that this was a common opinion, that the majority of people loved the game as much as I did. It was only over the past couple of months that I noticed a lot of people citing 3D as one of the series' worst entries, some even calling it garbage. Needless to say, I was quite taken aback when I saw these responses, and it has since begged the question: Why do people hate this entry so much? 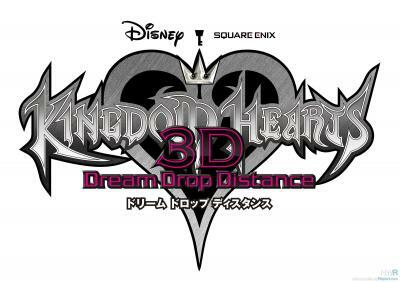 If you don't like Kingdom Hearts 3D, please tell me why here. I'm interested to hear your thoughts on where this game went wrong. Again, this is not me criticizing or arguing. I just want to be able to see the big picture. Thanks guys, and may our hearts be our guiding keys. In order to have the first person angle for Xehanort within the cutscene, the developers had to edit his body proportions and move the camera around, resulting in him having a tiny head! Similar tricks were previously found in Kingdom Hearts II by Boundary Break, revealing scenes where models were messed around with to achieve certain angles in cutscenes. What hidden camera tricks have you seen in Kingdom Hearts? Let us know in the comments below!